Hundreds of business tech enthusiasts are expected to descend on Leeds in October, when the city hosts the country’s first Innovation & Disruption event. The four-hour showcase will shine the spotlight on some of the most cutting edge innovations set to rock the technology sector over the next 12 months. And the premier venue Aspire has been chosen to accommodate the inaugural gathering. Innovation & Disruption is the brainchild of Tim Mercer, CEO of Yorkshire-headquartered cloud tech firm Vapour and someone with almost 20 years’ industry experience under his belt. Whilst Tim himself is set to take to the stage for the 19 October event, all eyes will in fact be on special guest and lead speaker for the day Ant Middleton. 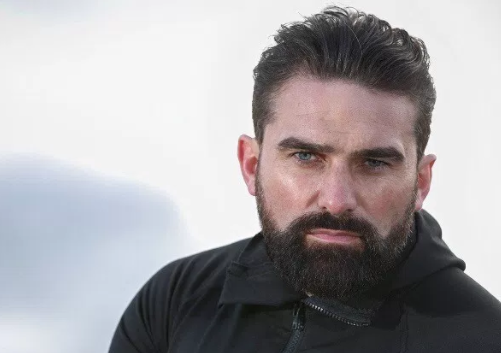 The former Special Forces hero is now a familiar face on British television, most notably as chief instructor on Channel 4’s SAS Who Dares Wins. He will therefore offer delegates an uplifting insight into his own career, not to mention the toughest military selection process in the world. Tim said: “This is a man with real gravitas and an unrivalled insight into the importance of leadership, specifically during incredibly hostile circumstances. Aside from Tim’s keynote speech, IT directors and decision makers will also have the chance to try out a number of industry-firsts when it comes to voice and video communications, virtual reality and cloud security. More speakers are due to be unveiled as the event draws closer. High profile sponsors are already on board in support of the event, including IT solutions providers Pure Technology and Alphadigital, investment banking enterprise Seneca Capital, and national law firm Freeths Solicitors. Tim added: “Our quarterly tech events at Leeds’ White Cloth Gallery are always a sell-out. Doing something bigger and better was therefore the next logical step, but we have been careful to develop a format that doesn’t yet exist in the UK. The event is free to attend and pre-registration via Eventbrite is essential. Running from 4pm-8pm on Thursday 19 October, food and drink will be provided throughout.